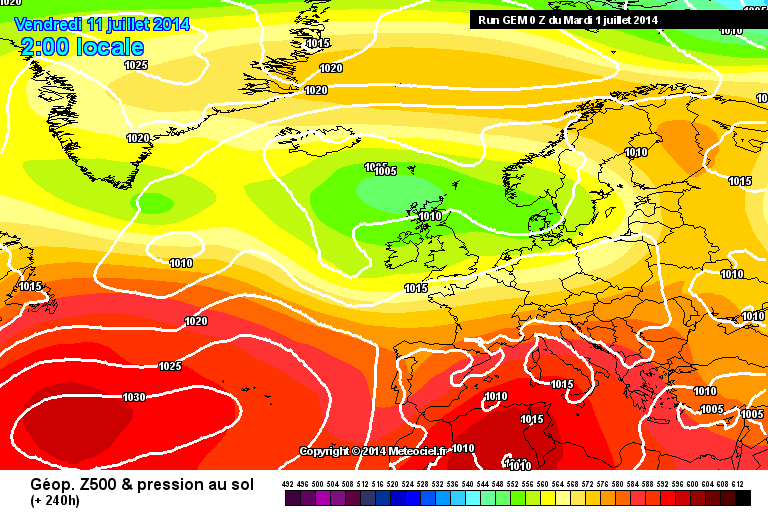 Model Output Discussion - 30/6/2014 Onwards - Covering July. A brand new thread for July, And the remaining few hours of this Month. 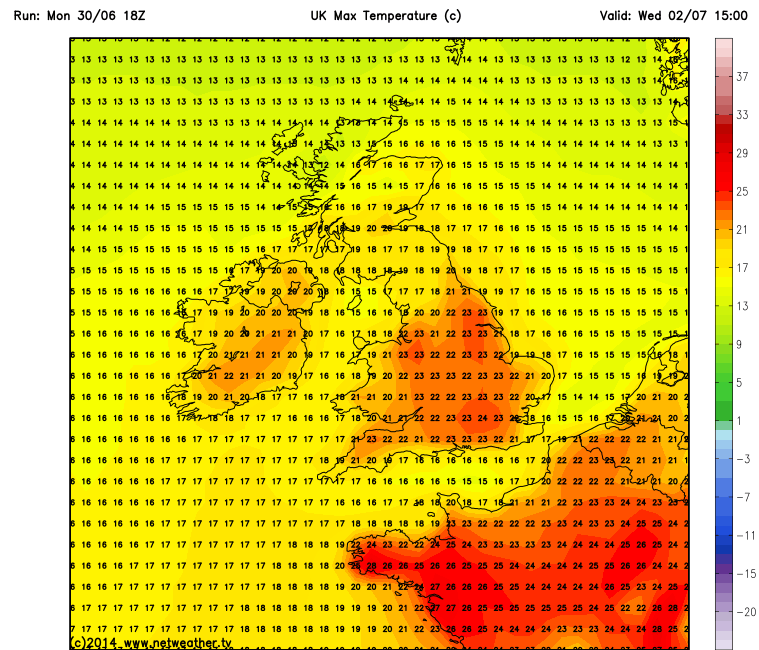 Will July produce a lengthy "Hot" spell...? There are sure tentative signs showing, So lets see where we go from here.  Please be friendly, Keep on Topic, And respect others. Just a quick question before July really starts in the morning: what is the likelihood of this sort of summer leading up to a Very Cold Winter? What is the main model to look at to understand the impact of one season on the next? 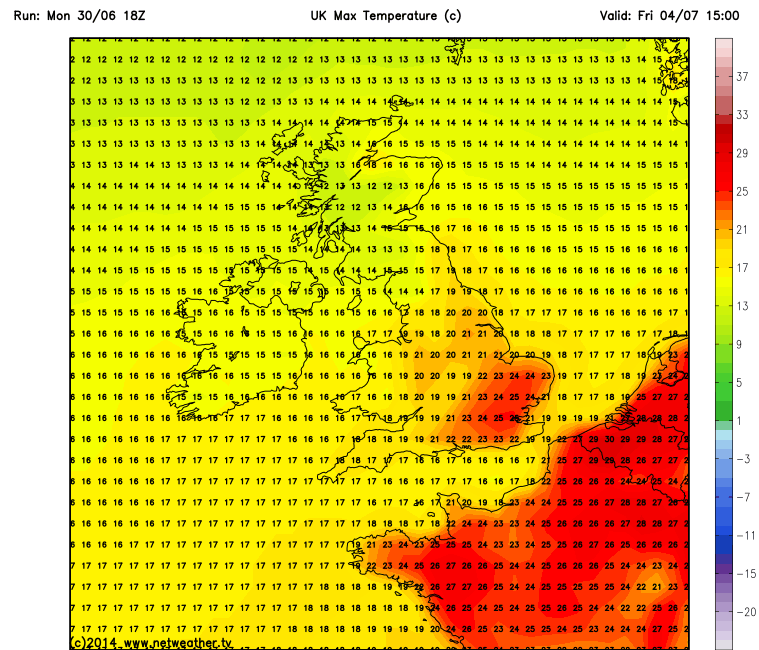 Tomorrow is looking dry, sunny and warm UK wide with temperatures reaching the low twenties, maybe the mid twenties in the warmer spots. 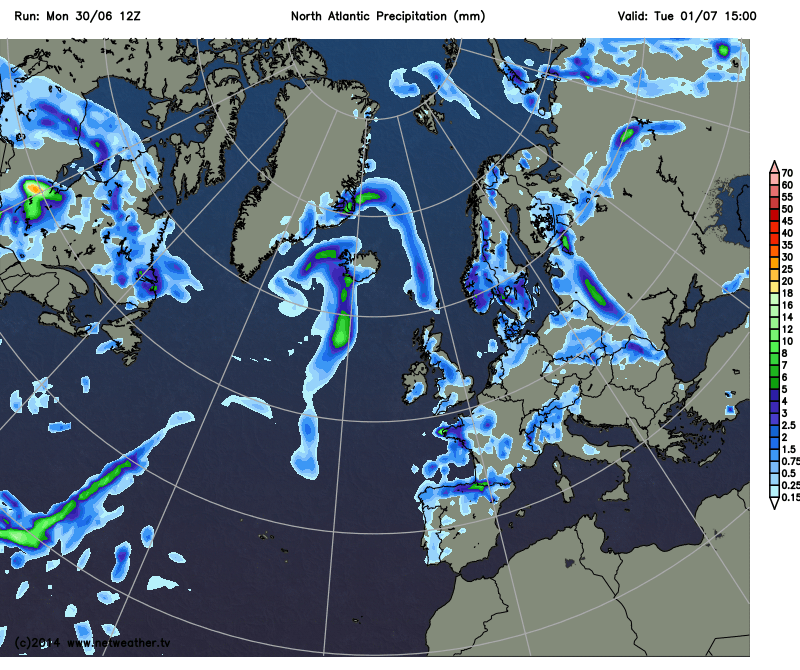 There is a chance of a few showers breaking out through the spine of the country, maybe affecting play at Wimbledon but not as bad as the past couple of days. 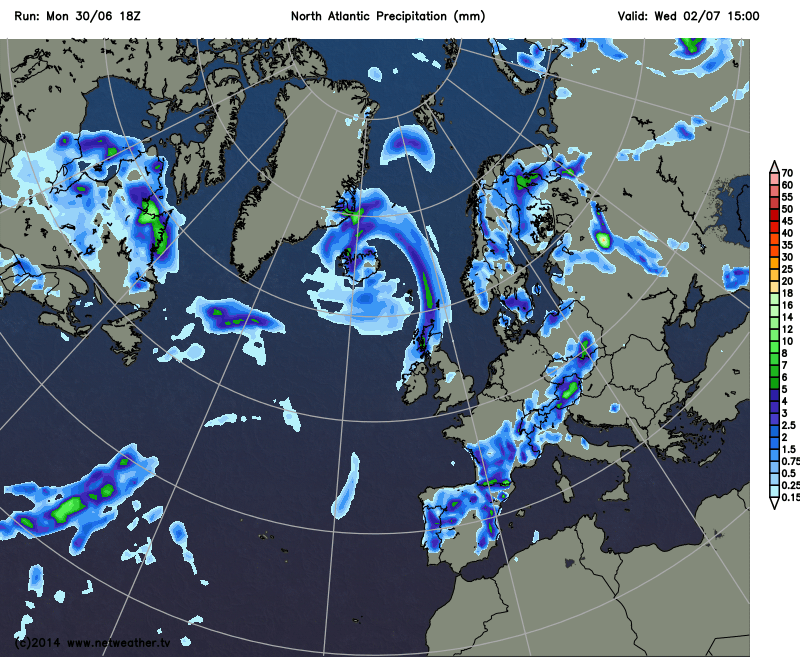 Wednesday brings a change with a weatherfront, associated with a deep area of low pressure to the northwest, brings increasing cloud, rain and strong winds to the NNW of the UK. Further south, its opposite fortunes with the sun out and temperatures rising further to 24/25C, with the odd isolated shower around. By Thursday the low has travelled towards the UK, so the front has progressed South to introduce the cooler, damper weather to Northern England, Midlands, North Wales etc. 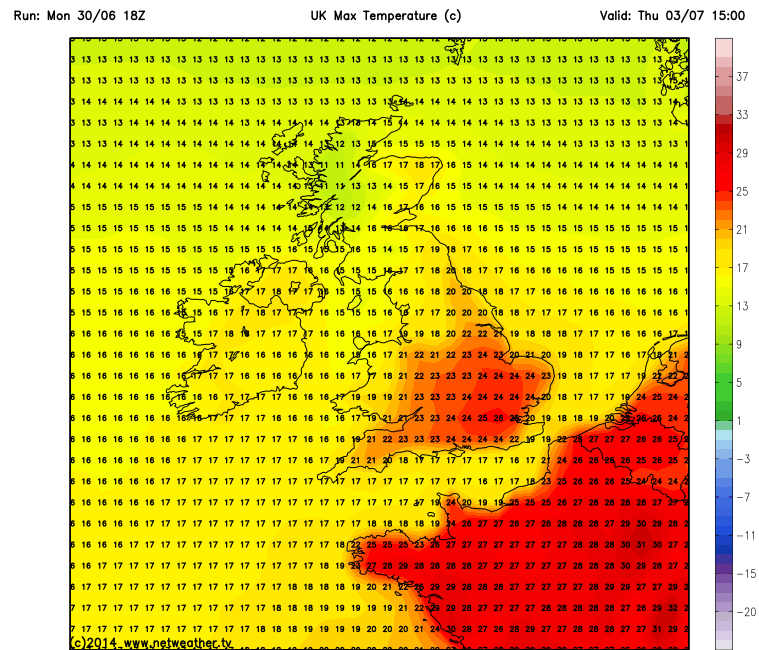 But the Southeast still basking in hot sunshine with temperatures reaching 26C, maybe 27C around London. 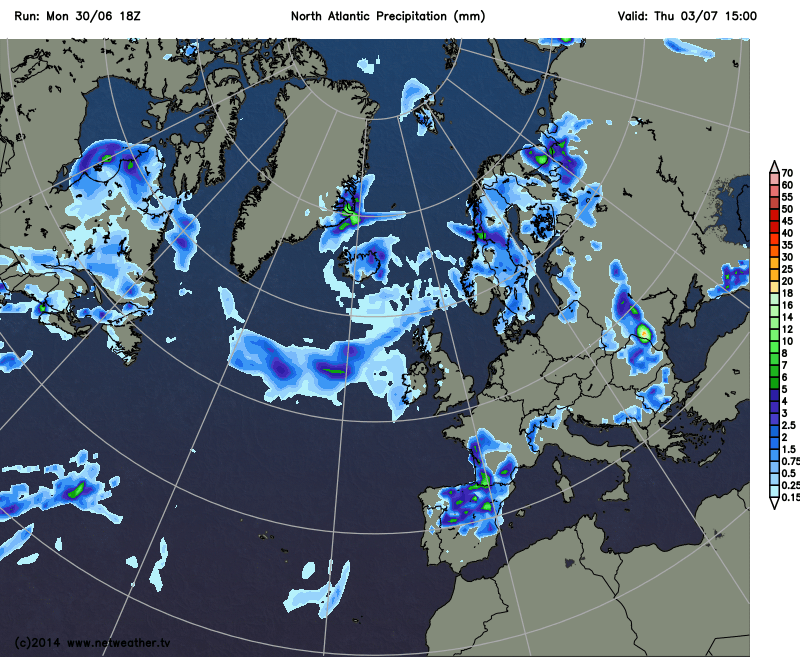 On Friday, the low throws yet more rain into the UK, the heaviest of which always further North and West. 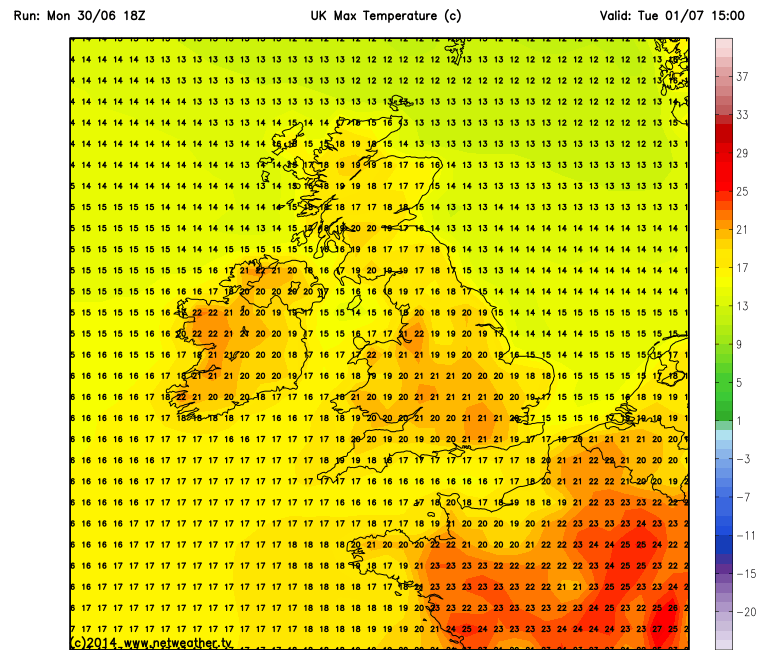 Temperatures very poor across Scotland with the low-mid teens at best but England always warmer and the Southeast on top as always with one more day of hot sunshine. Whatever the weather, Andy Murray will not disappoint!! 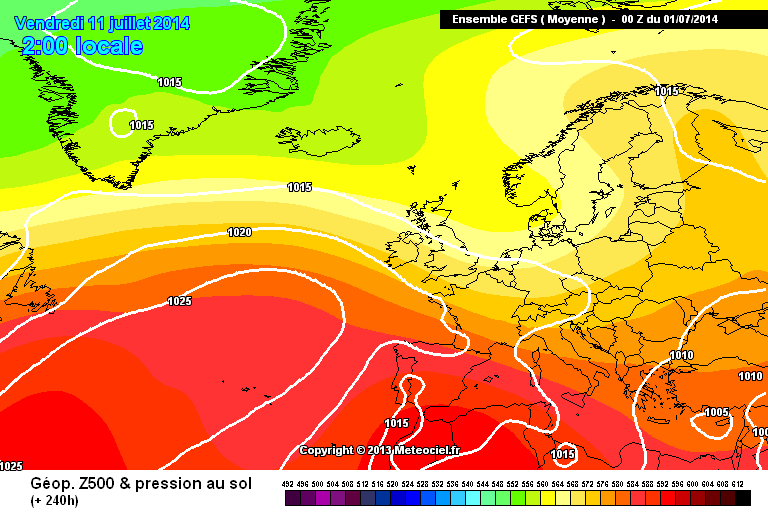 Also hinting at the trend towards a possible unsettled early July at least. Of course this is only the current indications and may all change for the better in following runs. There's not a lot in the models this morning to suggest any kind of hot weather (thankfully). As long as we keep pressure high to the SW and draw in an Atlantic WNW flow, it'll be warm and pleasant without being hot and humid. The met office are not as bullish about a pressure rise either they still expect more settled conditions to develop but but they are now saying "for a few days"
Please refrain from copy and pasting MET forecasts in here, Many Thanks. the Met update has surprised me today tbh i was expecting the outlook to be as good as yesterday,that said i remember reading once GP said stick to the ensemble means so tbh thats what i do. 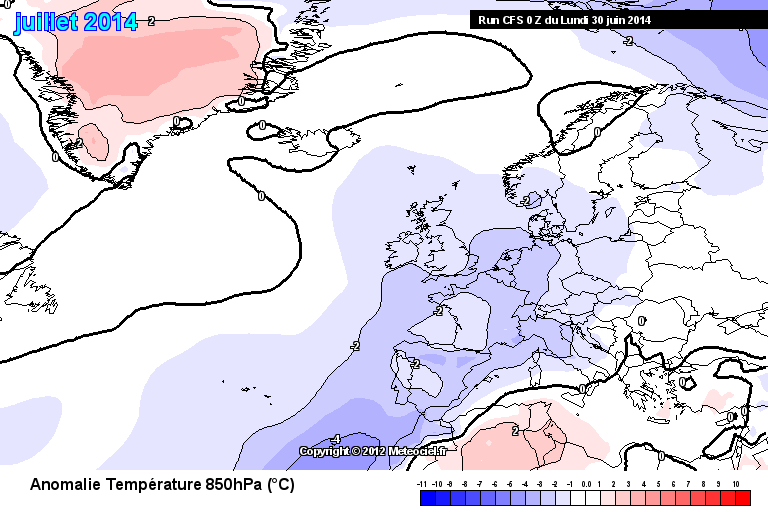 i cant post link to the charts as i do not know if im allowed to reproduce them from the site i get them from but i have found the..(ECMWF) ones to be very good so far this summer and like i said it looks to me like the further south and west you are the better the weather will be. 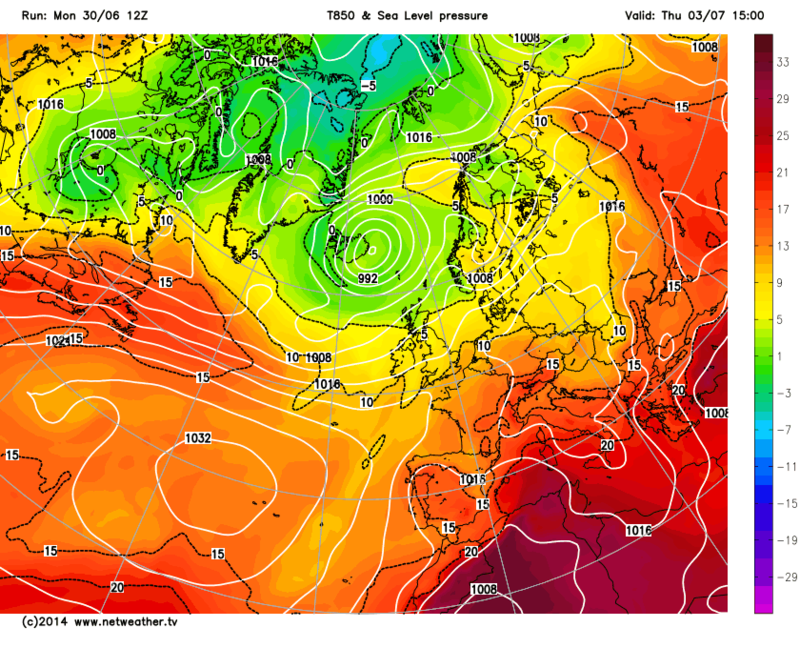 Day 8 and each model has low pressure affecting the UK, GEM is the worst of the bunch. 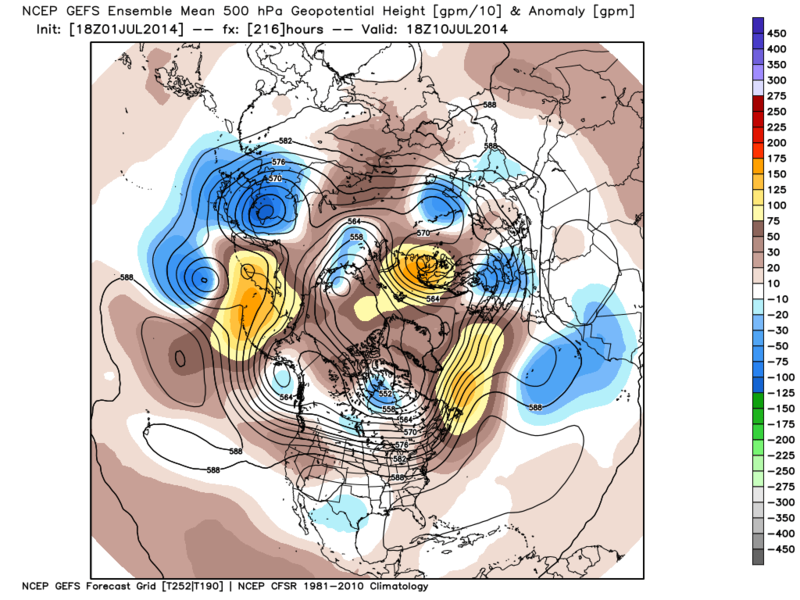 16-32 Met forecast is largely based from the Euro ensembles. The outlook is dire, if you're looking for a continuation of summer, and leaning more towards a low pressure, below average temperatures and very wet scenario as it stands. I'd be very surprised if this changed in the next 3 days but it is possible it could backtrack towards something more settled (as it happened last month). That said models are generally singing from the same hymnsheet with a few minor differences. 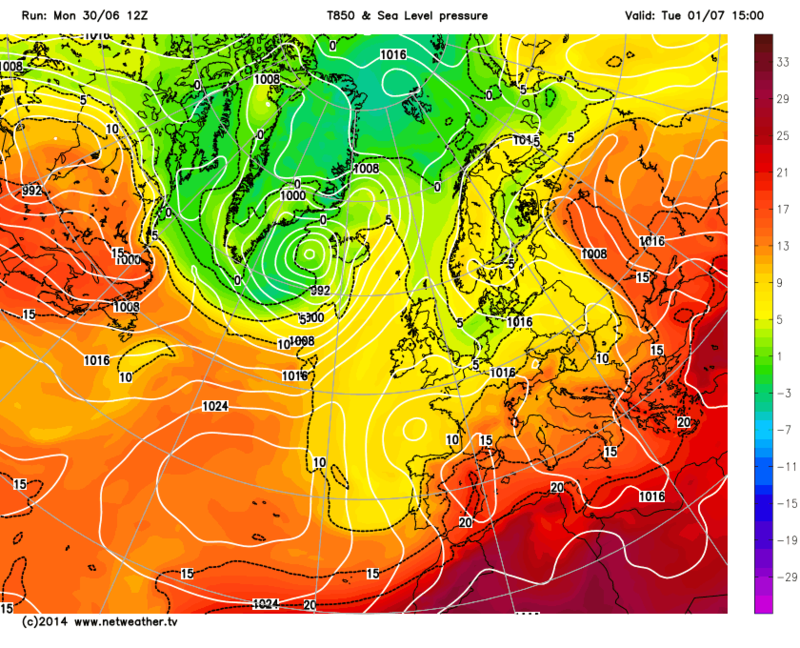 As the models detail it now, we are looking at the wettest, coolest spell of the Summer so far. i think youre being overly pessimistic there mate...i dont think the outlook is at all dire, to me its shaping up to be a pretty average summer, albeit so far lacking any proper but short lives hot spells. plenty of nice summery weather about, indispersed with wetter more unsettled spells. no heatwave but no monsoon, better then most recent summers. i don't think the outlook is at all dire, to me its shaping up to be a pretty average summer, albeit so far lacking any proper but short lives hot spells. plenty of nice summery weather about, interspersed with wetter more unsettled spells. no heatwave but no monsoon, better then most recent summers. Worth noting, do we not think that only yesterday, it was wall-to-wall sunshine next week after the weekend's blip according to the models. (OK, I exaggerate, but you take the point). 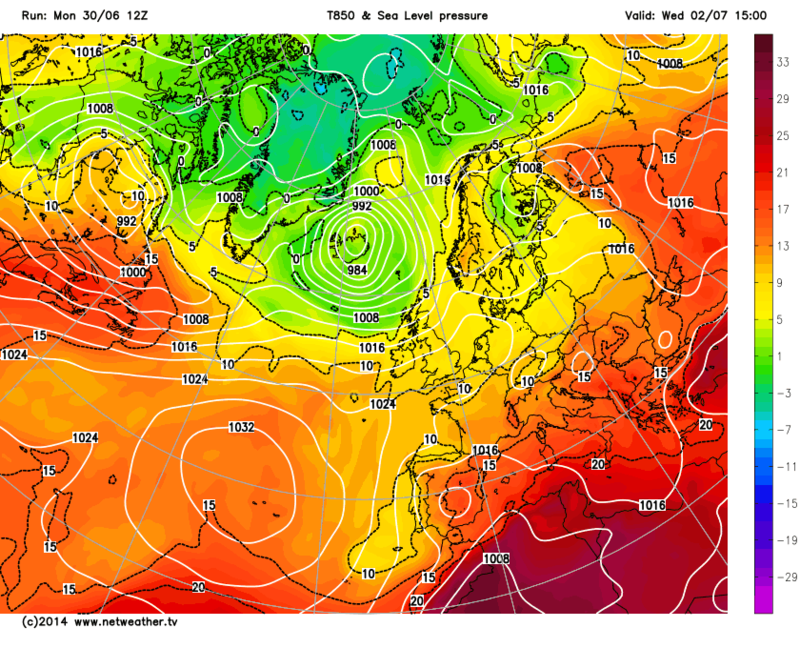 Now summer's over because the GFS at least has retreated from that today (OK, hyperbole is my hobby on this post!). There is lots of time for it to flip back. 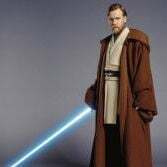 You will note that to a greater or lesser degree all members agree on a pressure recovery from Sunday, although the odd rogue goes off message mid-week. The control and op runs are, whilst not outliers, amongst the lower members for pressure with the mean c. 7-8 mb above the op. It seems to me that based on these charts (and indeed earlier runs), uncertainty for next week is currently very high, although a pressure increase to some extent (maybe insufficient for fine weather admittedly) is very likely for the south at least. 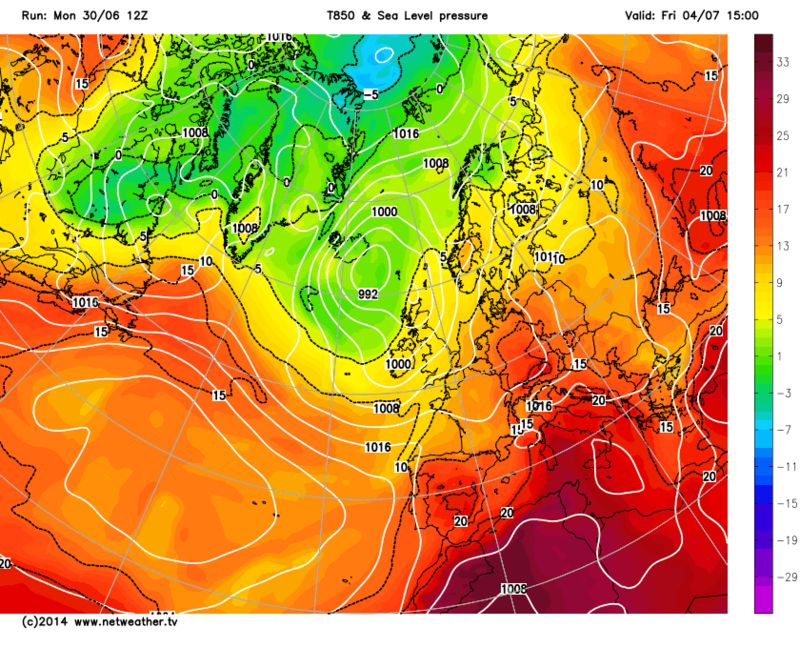 One of the key reasons for pressure struggling to rise next week takes place well to our north. The WAA shifting westwards from the Russian/Scandi ridge prevents the low from clearing away northwards. Now these east to west ridges have been notorious at being over played by the models which tend to weaken them as we approach T0. Same time but core low heights are further north west and pulling away as opposed to sinking south east. We do get left in a slack north westerly, but more a scattered showers scenario with respectable temperatures. That Russian block is looking like it means business so we need the Azores high to help out and reorientate the jet to get us in the mix if it is possible. No ridging westwards over the top of the low, but we still end up with a shallow low over the UK due to the residual cold pooling. As for week 2, anything is possible from here to be honest. Could end up turning hot and dry or cool and wet from here. Low pressure ejects northwards with high pressure building in from the south. The tropical storm is also being handled differently. Trouble is we have the ECM's pronounced height bias at that range to consider (as I'm Dreaming has regularly pointed out). Models useless until they decide the strength and landfall point of Author. I'll stick with the UKMO at day 6 for now..
ECM could well be too bullish in week 2 with building the Azores high,compared to recent ens means and GFS. The upper trough developing to our north west looks set to remain as a shallow feature next week uncomfortably close to the UK. 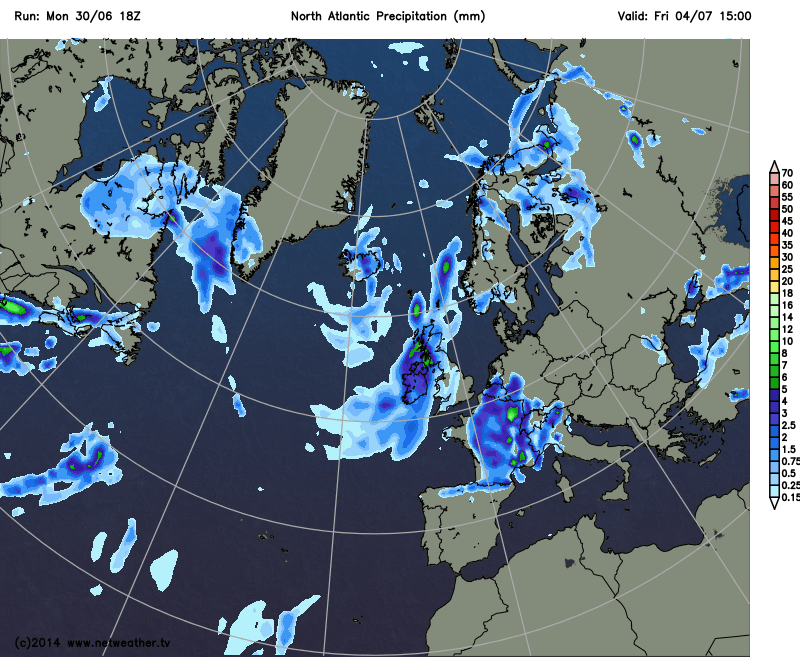 Worst case scenario ala GFS op would give some widespread showery activity into week 2. Recent comments on here that the stubborn Russian ridge may lock that trough in situ and this is indeed a possibility. Overall although not an overly warm setup it could develop into quite a decent fine spell but for this modeled shallow low that at the moment looks to be the fly in the ointment. 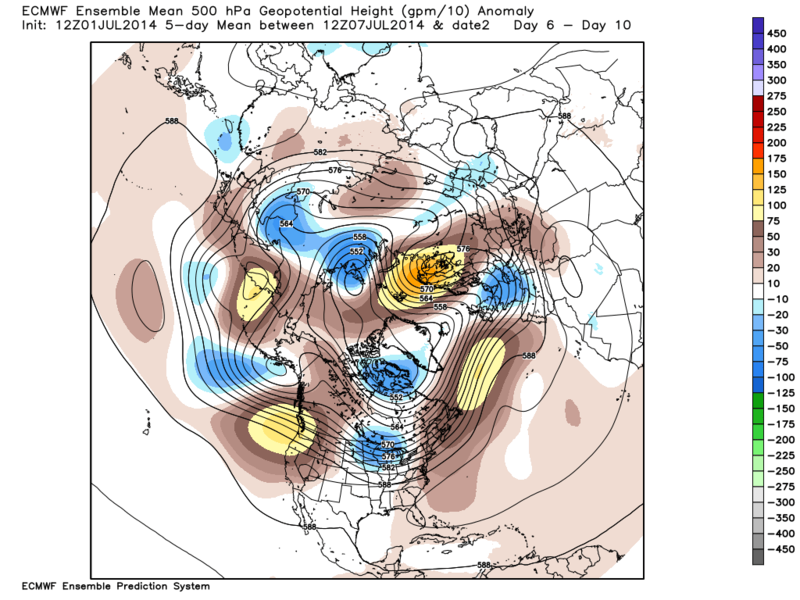 Looking at the upper anomalies the NOAA 6-10 has the trough orientated NW/SE but a suggested movement to the east. This is a scenario that the GFS and ECM are in some agreement. 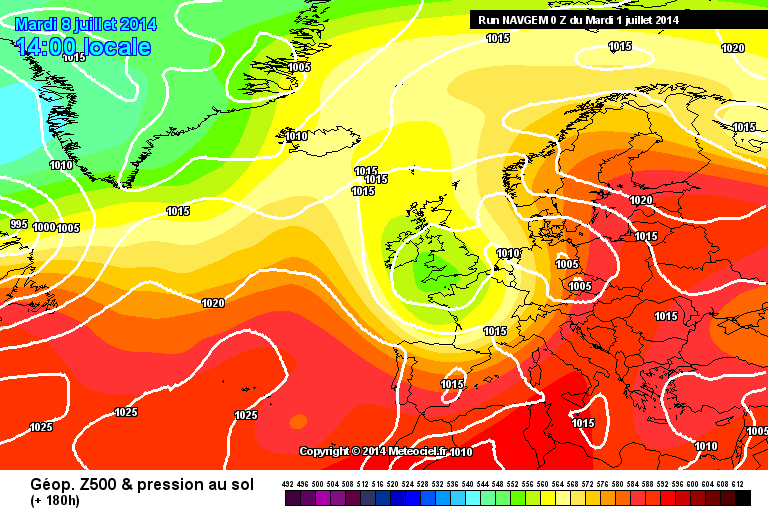 This tends to lead to a situation where we have warm air to the NE and SW with a large colder pool over Europe. The question is will the Azores high establish a more permanent ridge over the UK and even perhaps linking to the Scandinavian ridge or will it be transient as the trough reestablishes itself. I think the linking wishful thinking but it's not beyond the bounds of reason that the AZ may play a more prominent role. All in all in doesn't look like an unpleasant scenario. Models trending very warm into wek 2, thouh as of yet no definite direction. The GFS and GEM want to try and link the Azores and Russian ridges which the ECM is more progressive in the Atlantic jet and we simply end up with another ridge from the Azores whilst the ridge to the east flattens. 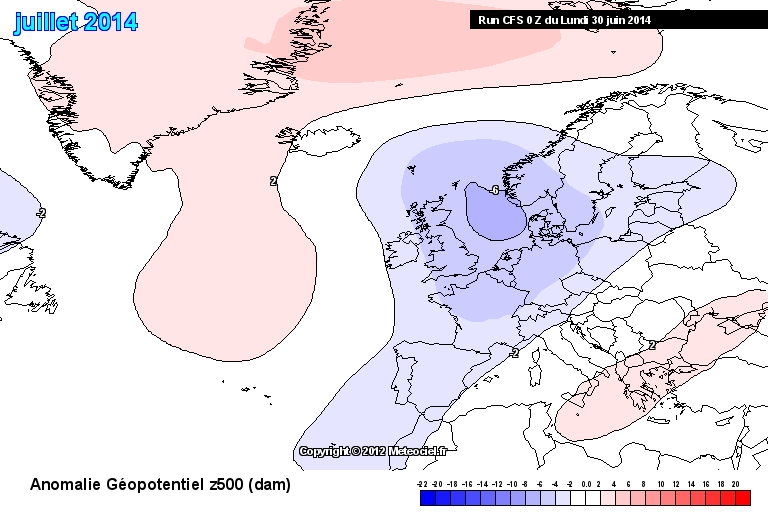 2 runs in a row the ECM has done this so maybe this is potentially the way forward. 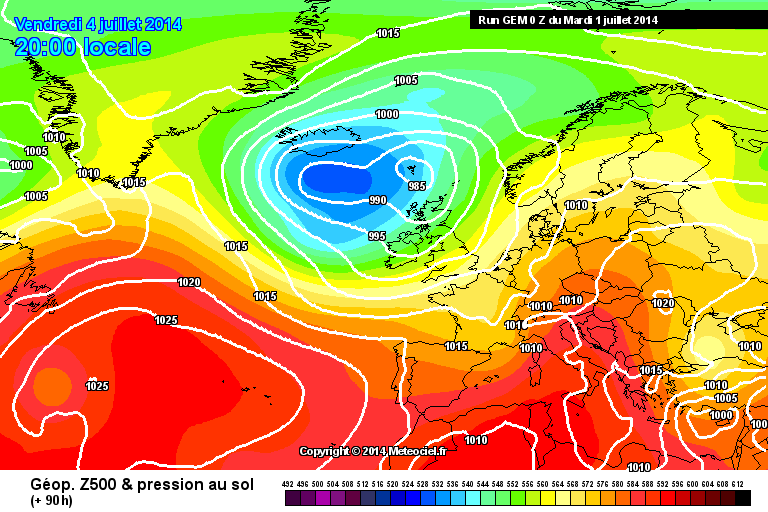 UKMO looks the odd one out with the looping ridge over to Greenland suggesting a UK trough. Big difference between itself and the ECM at this timeframe.